Russia's sports minister says it will enforce a new law cracking down on gay rights activism when it hosts international athletes at the 2014 Sochi Games, appearing to contradict assurances made to the IOC. 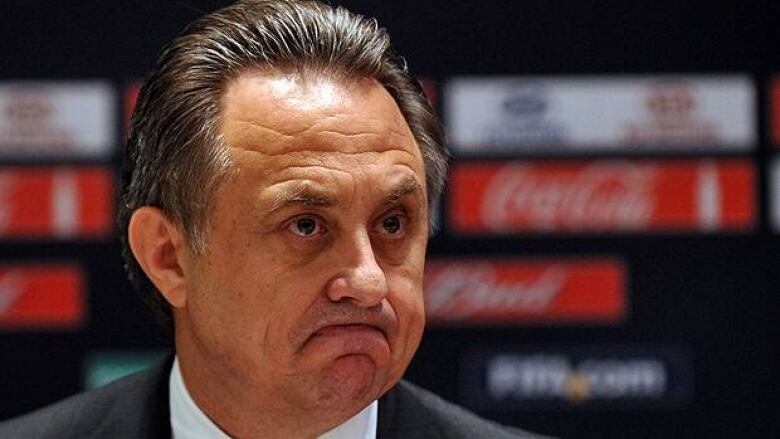 Russian Sports Minister Vitaly Mutko, shown in 2012, contradicted the IOC, which said it received assurances that gay athletes would not be under scrutiny at the Sochi Games. Russia will enforce a new law cracking down on gay rights activism when it hosts international athletes and fans during the 2014 Olympics in Sochi, the country's sports minister said Thursday, appearing to contradict assurances to the contrary from the International Olympic Committee. The law specifies punishment for foreign citizens, to include fines of up to 100,000 rubles ($3,000 US), time in prison for up to 15 days, deportation and denial of reentry into Russia. Four Dutch citizens working on a documentary film about gay rights in the northern Russian town of Murmansk were the first foreigners to be detained under the new law, although their case did not make it to court, according to RIA Novosti. "At the same time we always say to our athletes, 'We do not want any demonstrations in one or the other direction. Please, you are there to compete and behave. Please don't go out on the Net or in the streets,"' Heiberg said. "I think it was very clear for London in 2012 and it will be very clear in 2014. Demonstrations in one way or another, no, but discrimination, absolutely not." Should Olympians fear Russia's anti-gay laws?